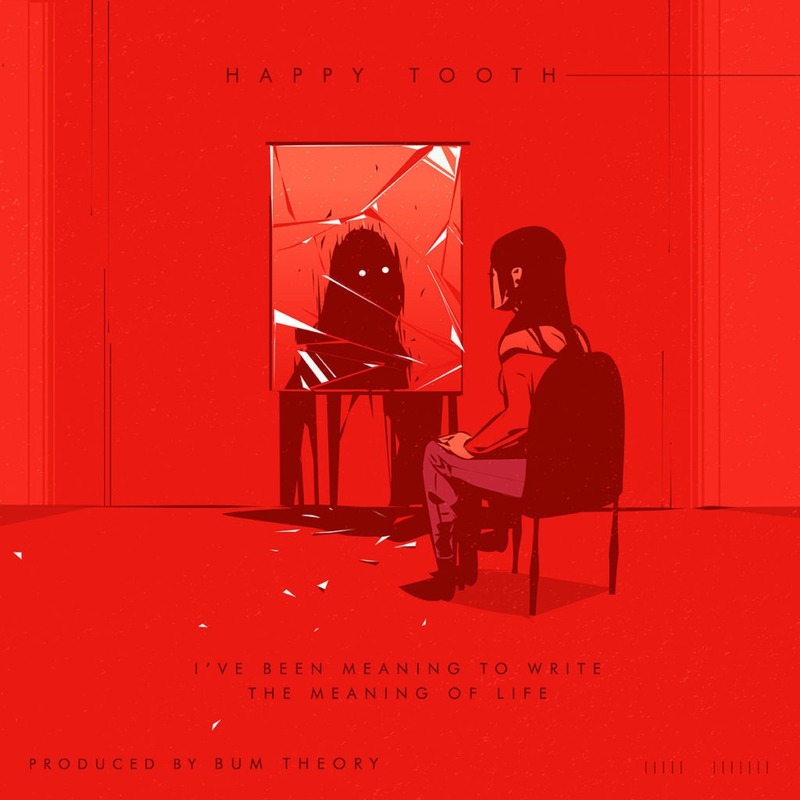 Indie underground rap extraordinaire Happy Tooth is “ALL CAPS” today as he releases his epic brand new album titled “Ive Been Meaning To Write The Meaning To Life”!! Probably best known for his work as part a band called Happy Tooth & Dug, the Columbus,Ohio phenomenon couples this release a jaw dropping power video/single “ALL CAPS” featuring none other than Bum Theory and filmed by a local videographer, Hawke Trackler.!!! Produced in it’s entirety by the rapper/producer, Columbus legend, Bum Theory who is featured twice on the record as well! Happy Tooth has remained focussed at keeping Columbus locals behind the lens, with even the artwork produced by local artist so its all very Ohio oriented, especially with some notable features from Cinci, and Bobbi Kitten from Damn The Witch Siren(all Ohio natives) except for one out of state feature who you might just be familiar with.. the underground rap legend, Eyenine! !